World travel can be educational and enlightening, and visiting India combines education with rich cultural, spiritual, and artistic experiences. Home to over a billion inhabitants, this country is a diverse mixture of Hindu and Muslim cultures, centuries of history, and beautiful natural wonders. From the snowy peaks of Kashmir to the peaceful beaches of Goa, India offers many exotic and fascinating sights. Before you begin planning your trip, there are some important facts to know. Note: This information relates to U.S citizens or travelers who will obtain their visas from the U.S.
As of July 2013, U.S. travelers to India need to apply for their visas at a BLS International application center. You will need to apply through the center that covers the region where you live. For example. if you live in Maine, you will need to apply through the center in New York. There are also centers in Washington DC, San Francisco, Atlanta, New York, and Chicago. You can apply for your visa in person or by mail. Either way, you can download an application from their government website. If you apply in person, be sure to arrive at your appointment on time. Scheduling is tight at most visa offices, and it can be very frustrating if you arrive late. BLS International offers all types of visas. including business visas and student visas. For the purpose of this article, the focus is on the six-month tourist visa. As of August 2013, the cost is $67.70 (including a $7.70 service charge) for U.S. citizens, and you can pay by cash, check, or money order. If you apply in person, your visa should be processed in three to five days. If you send your application by mail, it should be processed in seven to nine days. India has three seasons: the cool season, the monsoon/rainy season, and the hot season. The cool season, between November and February, is the best and most popular time to visit the country. The monsoon season and the hot season are very humid, but you are most likely to find cheap tickets at these times. If you do decide to take advantage of these deals, you will find the weather is usually coolest in the northern Himalayan regions. North American visitors to India are well advised to carefully watch their diet because food and water supplies are vastly different in India than in Canada and the United States. Take sensible precautions, such as only drinking bottled water, avoiding fruits and vegetables that have not been peeled, and avoiding foods sold by street venders. India's two most common and cheapest forms of transport are trains and buses. The Indian train system is legendary, and it stretches across the length and breadth of this huge country. Seat 61 is one of many websites to state that traveling by train is " the best way to see India." The buses are also an experience, but not always such a positive one. India's roads are said to be some of the most dangerous in the world. If you want to take a bus, your best bet is to book a seat on a government bus. You can book up to a month in advance, and they are generally very reliable. The Indians tend to pile their luggage on the bus roof and, with all those bumpy roads, it is not unusual for luggage to topple off onto the road. You can also take ferries to islands such as the Andaman Islands. The majority of Indians speak Hindi, but as an ex-colony of Great Britain, especially in the big cities, you will find there are a lot of people who speak good and even fluent English. In most hotels and restaurants, communication should not pose any difficulties. You will have no problem finding 24 hour ATM machines in any big city or town that will accept most major cards. If you travel to smaller towns or villages, you should plan to take enough cash or travelers' checks. 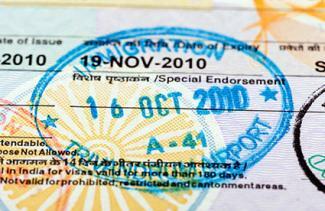 India caters to tourists and will accept all major brands of travelers checks. Mastercard and Visa are accepted at some establishments, usually the most expensive shops and restaurants. If you need money sent from back home, you will find branches of Western Union and Money Gram throughout the country. Located on the west coast of India, the country's most populous city is home to over 13 million inhabitants. 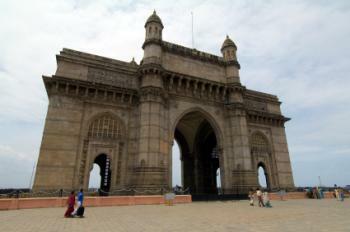 Mumbai is also the commercial and entertainment capital of India, home to the renowned "Bollywood" film industry. Tourists gather at this Islamic-style gateway that was built on Mumbai harbor in 1911 to welcome King George V. From this area, you can access a boat tour of Mumbai's harbor. Elephanta Island is situated six-miles north of the Gateway to India. A UNESCO world heritage site, the island is home to cave temples that are carved into basalt rock . Spanning over 104-square miles of protected rain forest, this national park is one of the biggest parks in the world, and it's only 90 minutes away from Bombay. If you are very lucky, you may catch a glimpse of a leopard darting between the trees. 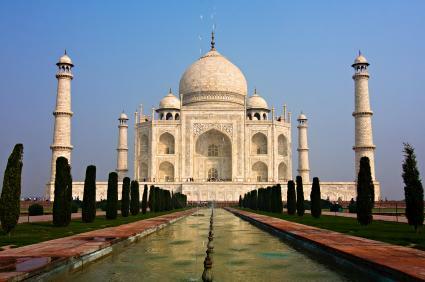 Agra is home to the Taj Mahal, one of the great wonders of the world. This architectural masterpiece was built in the mid-17th century as a mausoleum by the Mughal Emperor Shah Jahan for his favorite wife, Mumtaz. It is widely considered to be the best example of Mughal architecture in the world - a style that combines Persian, Turkish, Indian, and Islamic design styles. Kolkata, the former capital city of India, is located in eastern India near the Bay of Bengal. This sprawling city is known for its rich cuisine and literary history. Kolkata is also home to many British-built museums, cathedrals, and government buildings, which are vestiges of the British "Raj." At this silver and rainbow-roofed temple, Hindus stand in line at the front door for hours to pay their respects. At the back door, priests sacrifice goats to honor the goddess. Mother Teresa's legacy lives on at her mission in Calcutta. In this modest building, you can see Mother Teresa's old bedroom, which includes a crown of thorns at the foot of her bed, You an also talk to the sisters. The house is an inspirational diversion from the poverty-stricken streets of the city. The Indian State of Goa is located near the Arabian Sea. It offers visitors 75 miles of coastline, Portuguese colonial architecture, and a rich mixture of cultures, music, and cuisine. Every Wednesday from 8: a.m. to late, locals gather on the far side of the beach to sell their wares. Some of it is typical tourist fare, but if you're willing to take your time, you can find some real gems. Goa may be most famous for its party scene, but it also has 36 beaches. From the parties at Anjuna to the relaxing seclusion of Baja beach, there is something for everyone. Historically, one of the most interesting aspects of Goa is that it was colonized by the Portuguese and not the British. Their influence is seen in some of the state's beautiful Catholic churches, including the Basilica of Born Jesus, which contains the mortal remains of St. Francis Xavier. 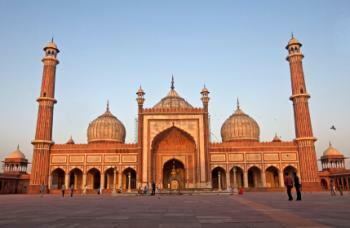 India's busy and bustling capital city of Delhi is full of excellent museums, cafes and restaurants. Probably more surprising is the clash between the new and old parts of the city. One minute you're walking through a medieval-style bazaar, and the next minute you're passing some of the world's swankiest cafes. This monstrosity is two-kilometers long and 35-meters high at some points. Built in 1648 by Emperor Shah Jahan, it's starting to show signs of age, but it is still well worth a visit. Jama Masjid is the largest mosque in India. It fits 25,000 people inside, and it towers 40 meters above the city. From the Harappa civilization to Persian manuscripts, this national museum covers 5,000 years of Indian history. It's a great place to learn more about this fascinating country. 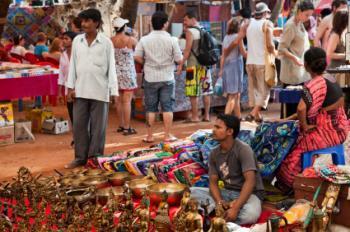 Travel packages to India come in a variety of price ranges, duration, and itineraries. You'll find escorted tours, hosted tours (where you are on your own once you reach your destination), and totally independent packages. A good travel agent can help you make sense of the myriad choices. Hidden Valleys of Ladakh: On this 20-day tour, you will trek through the Himalayan region of Ladakh and past Buddhist monasteries and ancient forts. Perhaps the highlight of the trip is camping for the night on the border of Tibet. This price of this tour begins around $3,400. Kolkata to Kathmandu:Traveling across the north of India, you will pass through forests and mountains, and visit monasteries, palaces and temples. Just as you begin to wonder when you'll get a rest, the tour stops for a day and a night at the Karmi Farm where you can relax and participate in yoga. This 16-day tour finishes in Kathmandu in Nepal. Pricing begins at $1,400. India Encompassed: A 28-day tour offers more than enough time to visit Agra, Delhi, Jaipur, and Kocki and still have time to visit temples, sail down the River Ganges and visit a spice plantation. In comparison to the tours previously mentioned, you will stay in relative luxury in hotels and guest houses. This tour's pricing begins around $2,700. Ancient Varanasi and the Ganges: On this three-day tour, you will visit the Ancient city of Varanasi and the River Ganges. One of the highlights is watching the sunrise at the Ghats. This tour's pricing begins just under $400. Delhi to Goa: On this busy 15-day tour, you will visit Delhi, Agra, Jaipur, Mumbai and finish in Goa as you relax on the beach. In between, you will spend the night at one of Rajasthan's heritage properties. This tour's pricing begins around $1,900. Many travelers claim that visiting India is a life-changing experience. This people of this country have a completely different approach to life than many westerners are used to. If you arrive with an open mind, you could quite easily have the time and the experience of your life.